We’ve been in business serving the Queens, NY area since 1964, and we’re proud that over 96% of our students pass their roads tests on the first try. 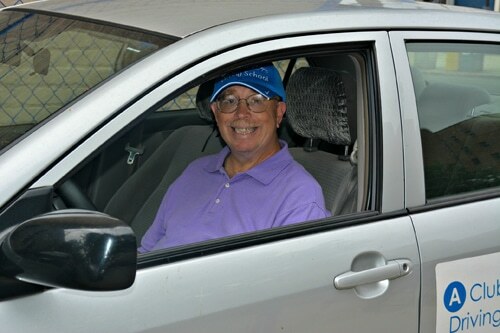 We offer everything a student needs to fulfill driver education requirements – lessons, 5 Hour / Pre-licensing class, scheduling of the road test appointment and use of our vehicle on the day of the road test. Please note: Our weekly Thursday at 5:30pm pre-licensing course fills up and often exceeds capacity – if this course interests you, we recommend signing up quickly. *Appointments: Lessons are available 6 days a week, including some evenings. Please call for availability. Appointments may be made in person or by phone. **Cancellations: Lessons must be cancelled with 24 hours advanced notice. Road Test cancellations must be made with 24 hours advanced notice. Failure to give proper notice will result in forfeiture of lesson/road test. Ready to get started? Click here to see our pricing, or click here to download a full PDF version of the same info. Please call or email us if you have any questions or want to schedule classes or sessions.